I have reconstructed and performed many baroque dances in my time. Most have been theatrical solos or duets. It’s been a while since I worked on choreographies from the ballroom repertoire. However, I have long been curious about the handful of dances from the early 1700s that seem to have attained a special place in the dance culture of the period. A dozen dances appear in multiple sources, some of which date to more than fifty years after their first publication, indicating that their fame lasted well beyond their own time. References by dancing masters such as Gottfried Taubert and Kellom Tomlinson as well as Pierre Rameau, in their respective dance manuals, suggest not only that these ballroom duets had travelled beyond France but also that they had become part of the course of instruction offered by leading dance teachers. Some of these duets even reached the stage, notably in London where a couple of them became staples of the entr’acte dance repertoire and were regularly featured during the benefit season. Some of these dances have become familiar to baroque dance enthusiasts, while others are rarely (if ever) reconstructed. The list highlights the dominance of France, and of Guillaume-Louis Pecour, over European social dancing. What made these dances special? Was it their music, their choreography or were there other reasons for their popularity? I will take a closer look at each of them to see if I can find out. I’ll also assess their modern status by checking YouTube for videos. In addition, I hope to find the time and the energy to work my way through at least some of the choreographies as part of my research. This entry was posted in Ballroom Dancing, Dance Treatises & Notations, Dancers & Dancing Masters and tagged Baroque Dance, Giovanni Battista Gherardi, Guillaume-Louis Pecour, Mr Isaac on June 8, 2015 by moiragoff. In 1769, cotillon balls were even more popular than they had been the year before. The earliest advertisement of the year appeared in the Public Advertiser for 27 February 1769. A later advertisement provided the additional information ‘The Doors to be opened at half an Hour after Six. Minuets to begin at seven precisely’. The time devoted to minuets and cotillons was extended to ten-thirty. Mr. Noverre was Augustin, younger brother of the famous choreographer Jean-Georges Noverre. Augustin pursued a career as a dancer and dancing master in England, publishing at least two collections of cotillons and other dances. He later moved to Norwich, where he established his son Francis as a leading dancing master. He is one of very few dancers and dancing masters of the period for whom we have a portrait. Augustin Noverre. Artist Unknown. 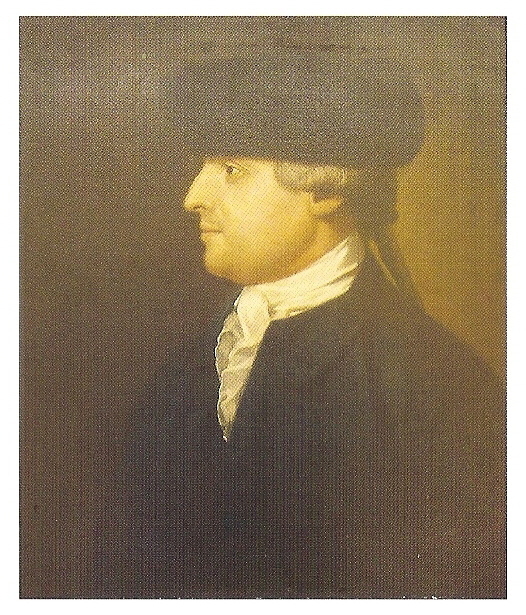 The portrait was presumably painted while Augustin was working in London. Cotillons are currently enjoying a revival in 21st-century Norwich. The Public Advertiser for 1 March 1769 repeated Noverre’s notice of his ball. It also advertised ‘Mr. Yates’s Ball’ to be given on 7 March at Haberdashers Hall. Tickets were again half a guinea and ‘After the Minuets and Cotillons are over [these were presumably performed by Mr Yates’s pupils], there will be a Ball for the Ladies and Gentlemen’. The Gazetteer and New Daily Advertiser for 9 March 1769 advertised ‘the first of the two Nights Subscription for Minuets and Cotillons’ (the date of this event is illegible) at Almack’s, as well as Mr. Prevel’s ball on 15 March which offered the usual pattern of minuets and cotillons by his scholars followed by a ball. The ladies and gentlemen who attended the latter ‘(tho’ they are not his scholars) may dance the minuet, country dances, and cotillons, if they chuse it’. There seem to have been some well-established conventions surrounding these events. These events seem to have been intended to recommend the dancing master’s teaching through the performances of his scholars. The minuets at such balls were apparently a showpiece for well-drilled pupils. The ‘company in general’ were expected to do no more than watch a sequence of these exacting duets, before they enjoyed the easier dances. As spring advanced, the pleasure gardens began to offer their entertainments. The Gazetteer and New Daily Advertiser for 8 May carried advertisements from both Vauxhall Gardens and Ranelagh. On 10 May, Vauxhall was to offer ‘A Ridotto al Fresco, (for one night only) to consist of Grand Illuminations, Extraordinary Decorations, a Concert, and a Ball’. Three different spaces were allotted for dancing, with one room devoted to cotillons. On 12 May, at Ranelagh there would be ‘A Jubilee Ridotto, or Bal Pare. … besides the usual entertainments, there will be country dances and cotillons’. The new contredanses françaises were indispensible not only at balls, but also at London’s most fashionable amusement venues. Unfortunately, a report in the St James’s Chronicle for 9-11 May 1769 revealed that at Vauxhall ‘The Place was so crowded, that no Ladies of Condition chose to dance, … Some few Cotillons however were danced in the Princes Room’. Would-be dancers may have fared better at Ranelagh where, according to the London Chronicle for 11-13 May 1769, despite the ‘exceedingly numerous’ participants and a great variety of other attractions ‘The company also danced country dances and cotillions’. The newspapers for this year record many other balls, in provincial cities as well as in London. However, the craze for cotillons is tellingly underlined by an advertisement of a different sort. St James’s Chronicle, 1-3 August 1769. Did this satire ever appear (if indeed the notice is not a spoof, or a reference to another form of entertainment)? I have not yet been able to track down a copy. This entry was posted in Ballroom Dancing, Country Dancing, Dancers & Dancing Masters, The Cotillon and tagged Augustin Noverre, Baroque Dance, Cotillion, Giovanni-Andrea Gallini on June 1, 2015 by moiragoff. A while ago, I had the idea of looking at significant dance events year by year, placing them within a wider context and slowly developing a more detailed chronology than most dance histories can provide. 1714 seems as good a place to start as any. The year was notable for the death of Queen Anne, on 1 August, and the accession to the British throne of her protestant cousin the Elector of Hanover as King George I. At the English court the social calendar revolved around royal birthdays, the accession and coronation days of the current monarch, New Year’s Day and Twelfth Night. All were occasions for dancing. Queen Anne’s birthday on 6 February had been the occasion of festivities throughout her reign. 1714 was no exception, with music, a ball and a ‘splendid entertainment’ at Windsor in the presence of the Queen herself. Her dancing master Mr Isaac created a new dance in her honour, The Godolphin named for Lady Harriot Godolphin the grand-daughter of the Duke and Duchess of Marlborough and (at the age of fifteen) a lady of the bedchamber to the Queen. 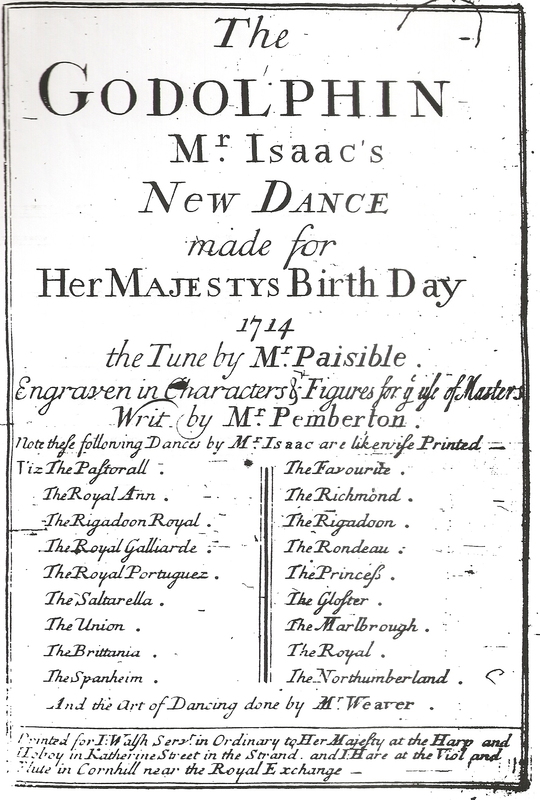 The dance was published in notation on 11 February 1714. Mr Isaac. The Godolphin (London, 1714). Title page. The status of another dance, published on 4 March 1714, is uncertain. The only surviving copy of The Siciliana by Siris has no title page but, like Isaac’s choreography, it was published by John Walsh and may have been intended to capitalise on the Queen’s birthday celebrations. George I arrived in England before the end of September 1714, with his son the new Prince of Wales. His daughter-in-law Princess Caroline arrived in London, with her three daughters, in October. The coronation took place in late October 2014. There are no records of any balls at court or the publication of any dances until the following year, when the usual festivities were resumed. One other event of note was the re-opening of the Lincoln’s Inn Fields Theatre, renewing theatrical competition in London. This led very quickly to a great deal more dancing in the playhouses. It seems that there was dancing at the first performance at Lincoln’s Inn Fields and there were at least six dancers (two women and four men) in the company. They appeared regularly throughout the season. In London, dances were often published singly in notation whether or not they had a royal connection. In Paris, small collections of dances were published ‘pour l’année’ in time for the balls held during the carnival season (between Twelfth Night and the beginning of Lent). The XIIe Recueil de danses pour l’année 1714, published by Jacques Dezais, contained three duets – La Gavotte de Seaux and a Rigaudon by Claude Ballon and Dezais’s La Chamberi. The Château de Sceaux was the venue for an experiment in dancing. At one of the duchesse du Maine’s ‘Grands Nuits’ of entertainments during 1714, Mlle Prévost and M. Ballon (leading dancers at the Paris Opéra) gave a scene from Corneille’s tragedy Les Horaces as a ‘danse caracterisée’. They performed with such intensity that they reduced themselves, as well as their audience, to tears. This event calls into question the idea that French stage dancing was fundamentally inexpressive. By 1714, Louis XIV’s long reign was drawing to a close and changing times were signalled at the Paris Opéra by the production of its first lyric comedy, Mouret’s Les Fêtes de Thalie. Were all these events quite separate? Surely not, although the influences that flowed between them have yet to be explored. This entry was posted in Ballroom Dancing, Dance Treatises & Notations, Dancers & Dancing Masters, Dancing at Court, Stage Dancing and tagged Baroque Dance, Claude Ballon, Françoise Prévost, Jacques Dezais, Mr Isaac, Siris on May 11, 2015 by moiragoff. Like Gherardi, Villeneuve simply provides a list of the steps to be used for the dances in his A Collection of Cotillons. Four of Villeneuve’s steps are among those described by Gallini: the balance; the pirouette; the rigaudon; and the contretems. Gherardi includes glissades within his step sequences. Villeneuve’s double chasse is presumably Gherardi’s chassé double included among the figures in his Second Book of Cotillons. By ‘Sissoons’, Villeneuve must mean pas de sissonne. These are not mentioned by either Gallini or Gherardi. Between them, Gallini, Gherardi and Villeneuve suggest around a dozen steps to be used in cotillons. All are familiar from the early 18th-century treatises that set out the style, technique and step vocabulary of ‘French’ dancing or la belle danse. However, it was for the dancing masters (and perhaps the dancers as well) to decide how and when to use these steps in individual cotillons. This entry was posted in Country Dancing, Dancers & Dancing Masters, Steps & Figures, The Cotillon and tagged Baroque Dance, Cotillion, George Villeneuve on April 10, 2015 by moiragoff. Mlle de Verpré, the first female professional dancer? If Madame was the source of the ballerina’s refined and sophisticated style, the latter may owe her virtuosity of technique to Mlle Verpré. She, too, has a claim to be the first ballerina. She may have been the daughter of the Verpré who danced in court ballets from 1648 to 1661, and was one of several girls from professional dance backgrounds who appeared in these entertainments. These first female professional dancers have been written about in recent years by a handful of dance historians. Mlle Verpré unquestionably took a starring role in this ballet. The following year she appeared in the closing entrée of the Ballet de la Raillerie as ‘L’Espagnolle. … dansant avec Castagnettes, accompagnée de huict Guitarres’. She was the sole female Spaniard among the pairs of French, Italian, Turkish and Indian ‘Gentilhommes’. Louis XIV danced as one of the French gentlemen. The nine danced a chaconne together. In the Ballet de l’Impatience of 1661, she appeared in the first entrée with eleven men, including the King. Louis XIV performed as ‘un Grand amoureux’ and she may have been his ‘Maistresse’. She returned to the stage for the third entrée of part 3 as ‘la Dame’ with the King and seven other men as ‘Chevaliers de l’ancienne Chevalerie’ all of whom were rivals for her favour. Two other female professional dancers, Mlles Girault and de la Faveur, appeared in the final entrée of this ballet. 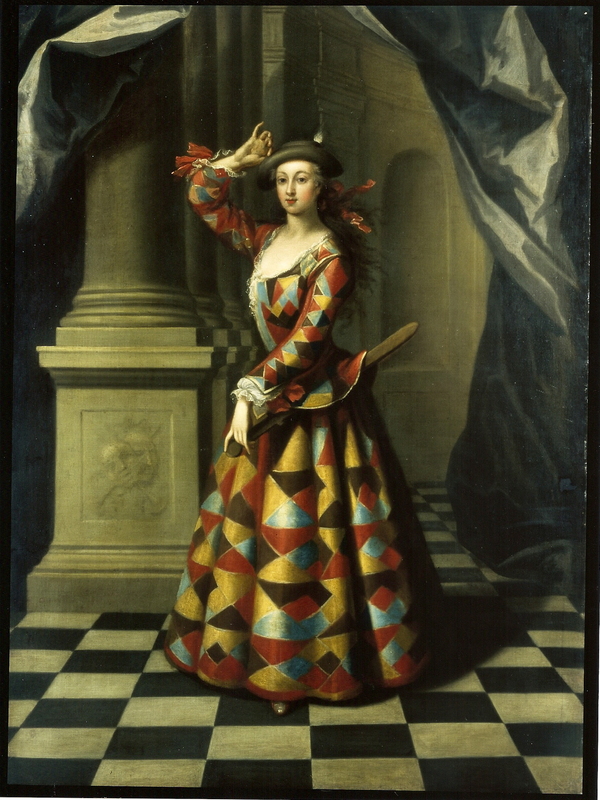 The ballerina in the 1661 Ballet des Saisons was Madame, but Mlle de Verpré appeared in the seventh entrée dancing a saraband with seven men (nobles as well as professionals). The ‘de’ added to her name, usually an indication of nobility, suggests that her dancing skill had been rewarded with higher status. 1662 perhaps marked the high point of her career, when she appeared in the Ballet d’Hercule Amoureux as part of the celebrations for the King’s marriage. Both the King and the Queen danced in this ballet. In the sixteenth entrée Mlle de Verpré danced alone as Aurora, heralding the appearance of Louis XIV as le Soleil in the following entrée. Mlle de Verpré did not appear in the Ballet des Arts of 1663, in which Madame took pride of place. The advent of Madame as the court’s ballerina seems to have pushed the professional dancer to one side. Even in the Ballet des Amours Déguisés of 1664, in which Madame did not appear (but the King did), Mlle de Verpré danced only in the second entrée as ‘La Gouvernante’ albeit alongside the duc de Saint-Aignan as ‘Le Gouverneur d’Egypte’ with a supporting group of eight men (four of whom danced as women). She made her final appearance in 1665 in the Ballet de la Naissance de Vénus, dancing only in the second entrée of part 2 as Daphne, alongside the marquis de Beringuen as Apollo. Thereafter she disappears from dance history. By ‘frizer la capriole’ did Loret mean that she could execute a cabriole, a jump with a beat in the air? In any case, Mlle de Verpré evidently had a professional level of technique and the skill to keep up with (if not challenge) the young men she danced alongside. There is no known portrait of Mlle de Verpré. This entry was posted in Ballet de Cour, Dancers & Dancing Masters, Dancing at Court and tagged Ballet de Cour, Baroque Dance, Henriette-Anne duchesse d'Orleans, Mlle de Verpré on March 23, 2015 by moiragoff. Dancing in London’s theatres during the 18th century is a topic that has not attracted dance historians. There are very few reliable accounts and no extended study has so far been published. My work in this area began when I did my PhD on the English dancer-actress Hester Santlow, whose dancing career began in 1706 and ended when she retired from the stage in 1733. I found myself trying to reconstruct the context within which she danced, as well as her dancing repertoire. My thesis was entitled ‘Art and Nature Join’d: Hester Santlow and the Development of Dancing on the London Stage, 1700-1737’. Since then, I have extended my interest to dancing on the London stage from 1660 to 1760. Central to this period are, of course, the notated theatrical dances published in the early 18th century to which I referred in my earlier post Stage Dancing. The paradox of any research into dancing on the London stage is that the dances, with the exception of the handful of notated choreographies, have entirely disappeared. There are also very few portraits of dancers or depictions of dancing before the late 18th century. Any research is therefore very challenging. This is probably why the period has attracted little or no interest from dance researchers. There is also the bias towards dancing in Paris, which is widely seen as the sole centre of serious dancing at this time. Yet, this was a particularly exciting period for London audiences, who were avid followers of dancers and their repertoire. ‘French Dancing’ reached London from Paris not long after the Restoration in 1660. French stars came to the English capital, where they could make good money in the commercial theatres. Claude Ballon made a brief visit in 1699 and his favourite dancing partner, the ballerina Marie-Thérèse de Subligny, came in 1702. There were also home-grown dance celebrities who could equal them in the style and technique of serious dancing, notably Hester Santlow. The British developed their own dances and genres of dancing. Among the former was the hornpipe, acknowledged as an ‘English’ dance. Among the latter was the first modern ballet, created by John Weaver, a theorist as well as a dancer and a dancing master. The Loves of Mars and Venus, performed at the Drury Lane Theatre in 1717, was the first dance work with recognisable characters and a story in which the entire narrative was conveyed through dance and gesture alone, with no sung or spoken words. This was a significant development in the art of dancing and must surely have influenced the French ballerina Marie Sallé, who also came to dance, and experiment with dancing, in London. Dancing was popular in London’s theatres throughout the 18th century. Dances were regularly performed between the acts of plays (entr’acte dances). There was a great deal of dancing (serious as well as comic) in the pantomimes that became popular from the 1720s and there were dance divertissements in plays and musical works. The entr’acte dances were many and various, from speciality comic dances drawing on indigenous dance forms to complex and virtuosic serious dances deploying the style and technique of French professional dancing. I will try to reveal some of this wealth of innovative dance entertainment in future posts. This entry was posted in Dancers & Dancing Masters, Stage Dancing and tagged Baroque Dance, Claude Ballon, Hester Santlow, John Weaver, Marie Sallé, Marie-Thérèse de Subligny on March 14, 2015 by moiragoff. In all three of his cotillon collections, Gherardi provides the same list of steps needed for the dances. Deux chassés, assemblé, pas de Rigodon. Deux glissades, assemblé, pas de Rigodon. Contre-tems en avant, contre-tems en arrière, contre-tems en tournant. Demi contre-tems d’un Pied et de l’autre. Brizé, a trois pas d’un Pied et de l’autre. Chassé a trois pas d’un Pied et de l’autre. It is obvious that Gherardi is setting down not individual steps but sequences of steps, enchainements, for use within the changes and the figures of his cotillons. In his second collection, Gherardi proposes that gentlemen and ladies take out subscriptions for his Cotillon Academy, where they can learn the steps ‘from the Assistance of an experienced Master’. Was he assuming that they will know the basic belle danse steps, but will need help with his enchainements? Most of the steps are recognisable from the dance manuals of the early 18th century, and several are those described by Gallini. However, the ‘Brizé, a trois pas’ and the ‘Chassé, a trois pas’ are not so familiar and will need a bit of investigation, as do ‘the Steps necessary for the Country Dance in Allemande’. I can see I will need to devote some more posts to cotillon steps. This entry was posted in Country Dancing, Dancers & Dancing Masters, Steps & Figures, The Cotillon and tagged Baroque Dance, Cotillion, Giovanni Battista Gherardi on February 26, 2015 by moiragoff.